This past weekend I had the honor of being able to take part in the Children with Diabetes Friends for Life Canada Conference. Being asked to speak to attendees truly is an honor that I never take for granted. 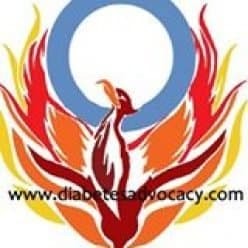 For me, Children with Diabetes (CWD) has been a lifesaver and I don’t mean that lightly. In 2000, my youngest son was diagnosed with Type 1 diabetes at the age of just two years. I was terrified. I knew no one else with a child with this disease. Our clinic gave me the phone number of one other parent. She was just as new at this as me and lived an hour away. I had no immediate family nearby. I had amazing friends and kind in-laws but I still felt alone. When my son was diagnosed we didn’t have internet. That sounds strange today when we have Wi-fi in our cars but in March of 2000 this wasn’t the case. Our computer was used to type up documents and for my older son to play games. By the fall of 2000, my mother had convinced me to try this new thing…dial up internet. At that moment, my world expanded. The answer was simple. It had been suggested to me by my clinic but when it came from these two women it finally clicked. Fifteen years later, I am still friends with one of the ladies that replied. We have met in person and I have been able to thank her for changing my world. From that moment forward, I became a part of a community. We cheered each other on and debate certain issues. We shared new technologies and tips that helped to make our lives easier. Everyone involved had lived the same life at some point. We shared hopes, dreams, and frustrations. It was (and is) the most amazing group of people whom I ever had the pleasure of interacting with. Over the years, I have stayed in contact with many of them. We have reached out to each other in private emails, text messages, phone calls, and in person visits. When you attend a Friends for Life event it truly is a large family reunion. It is time spent with amazing people who have been in my life for over 15 years and have made a profound difference to it. They have motivated me and encouraged me. When we get together, it is as if we have never been a part. Going to a Friends for Life event is a chance to reconnect with old friends and make new ones. There are so many names that I recognize at registration that I get to put a hug to when we meet. It truly is a gift to be a part of such an event. I treasure every minute and hope that everyone gets the same chance at one point…to find amazing friends and incredible supports to help you through this journey of life with diabetes. Previous Previous post: Its the most wonderful time of the year!